however, we used the dressing as a dip as well. A short while ago was National Peanut Butter Day. While my son decided to have a fluffernutter sandwich for dinner (that's marshmallow fluff and peanut butter for the un-initiated), we decided to use the peanut butter elsewhere in our meal. I prepared a salad with shredded carrot, snow peas, a few other vegetables and some sort of dried/puffed noodles and whipped together a salad dressing loosely based on one I saw at Our Best Bites. The original recipe was Thai, however, we omitted the Siracha sauce, cilantro (we didn't have any) and swapped out the lime for lemon among other changes. I still would like to try the original recipe as I imagine it tastes excellent as well. There was quite a bit of dressing in the end, and it was pretty thick, so we ended up adding extra water compared to the original recipe, and, after using it for salad on a second day, we used the dressing as a dip for vegetables. It was excellent. Place all ingredients except water in a blender and puree until smooth. Slowly add water as required to reach the desired consistency. I absolutely adore peanut dips and dressings and this looks fab! I bet it would be amazing over cold noodles too. I'm picturing this over tofu and maybe adding some toasted sesame seeds. 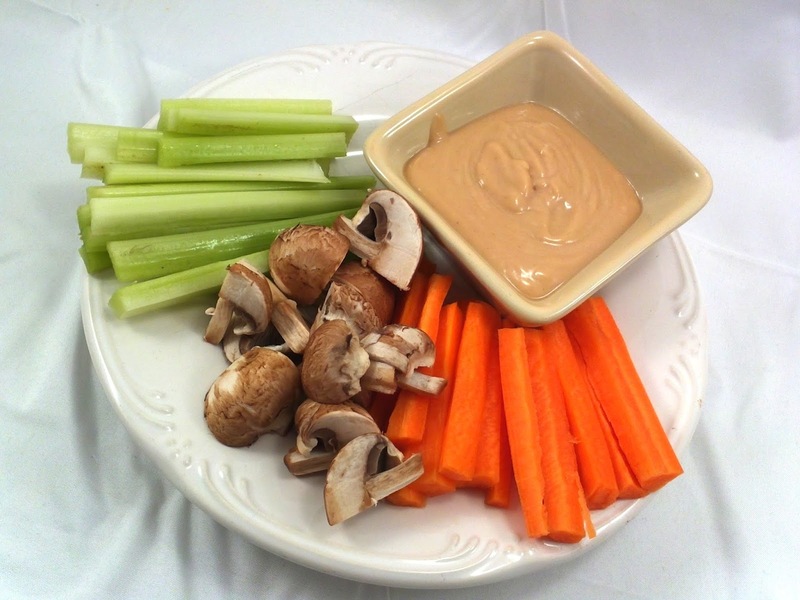 We are into peanut sauces and dips.